The second edition of Niagara Health Now magazine is hot off the presses! In this edition, you’ll read about how our team at the Niagara Diabetes Centre is caring for and educating the thousands of Niagara residents who require their services. You’ll learn more about how our new initiative that allows people to view Emergency Department and Urgent Care Centre wait times in real time is benefitting patients. And you’ll read about how members of our team helped to raise money for the Prostate Diagnostic Assessment Program. 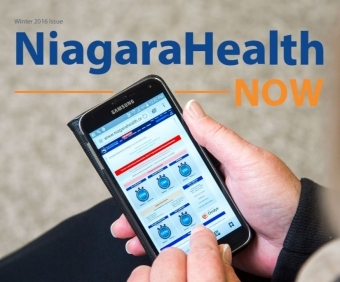 We hope you enjoy this edition of Niagara Health Now. To view the second edition click on image.